This program ( R.Ac.) 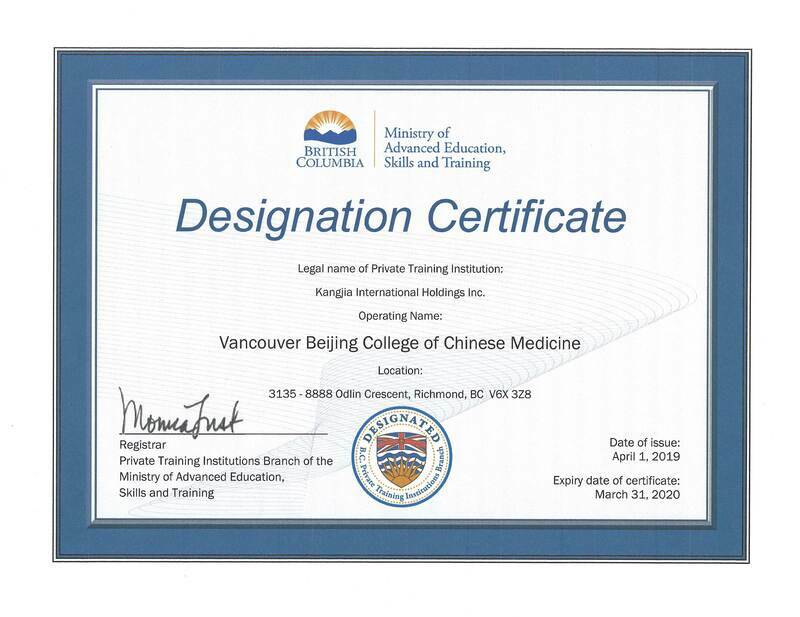 provides the graduate with professional training in Traditional Chinese Medical Acupuncture. Students are taught both classical Acupuncture and modern schools including an exploration of Five Element Acupuncture diagnosis and treatment principles. TCM Diet Therapy, Tui Na therapeutic massage, Gua Sha therapeutic scraping techniques and cupping therapy are all contained within the 3-year diploma of Acupuncture program. Graduates of the Diploma of Acupuncture program are eligible to be Registered Acupuncturists (R.Ac.) in the province of British Columbia. Graduate must write a licensing exam in BC. They can practice as a acupuncturist independently or employed by any Acupuncture Clinic.